I know many of my readers (myself included) are in the “drink-rosé-all-year-round” camp. There are some pinks out there that are bolder, more tannic, and naturally food driven wines, so having them whenever, with a good pairing, just makes sense. 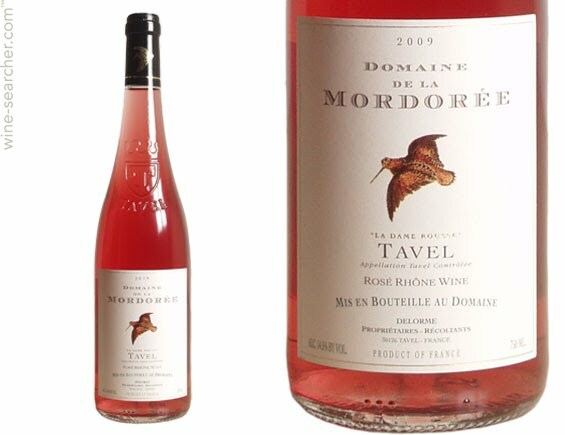 Tavel, an appellation in the southern Rhone Valley, specializes in nothing but pink. In fact, that’s all they’re allowed to make if it’s a AC. So, if you see Tavel AC on the label, chances are, it’s pretty darn good. And there’s certainly wine for all budgets made here also! A simply beautiful wine! All this great juice for $36.95, but if you’re pinching pennies, baby sister “La Remise de la Mordorée” (Syrah, Grenache, Merlot, Marselan) is good too at only $19.95! This entry was posted in Varietals, wine and tagged France, La Mordoreé, refreshing, Rhone, Rose, spring, Tavel, weather. Bookmark the permalink. Love Tavel – the red wine lovers pink. Tempting! Looks like a lovely wine.